Pea salad is my favorite way to eat peas. The first time I tried pea salad was at a buffet. My companion told me it was “delicious,” so I reluctantly tried it. I’m not a big fan of peas. We ate them often when I was a child, so they aren’t my favorite vegetable unless raw. My opinion changed when I tried pea salad, and I spent the next few weeks perfecting the recipe until I believed that my pea salad was perfect. Baker’s Man and a few other friends, and members of the family, agreed. 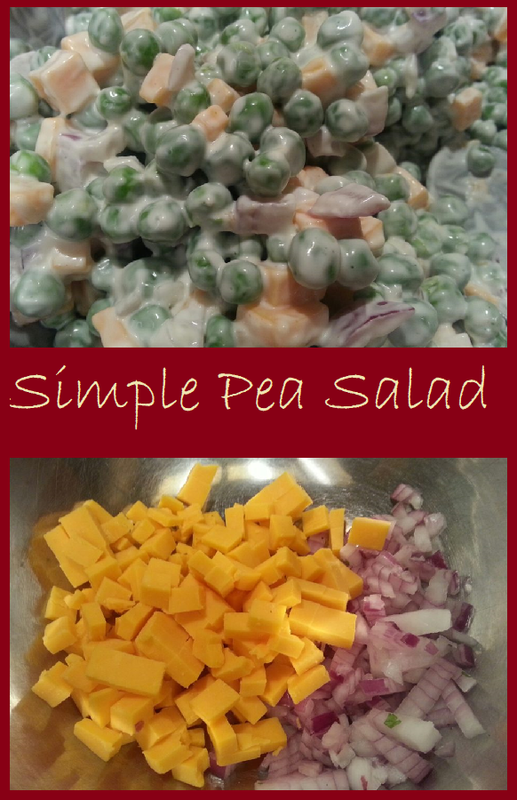 Pea salad is very simple to make, but there is one thing that must be discussed. I use frozen peas in this recipe. Some people may not believe that it’s safe to do so. I am using the recommendations of the USDA for thawing my peas which I thaw overnight in the refrigerator. Though, on occasion, I have been known to put the peas in a sealed container and soak the container in cold water when I’m in a hurry. 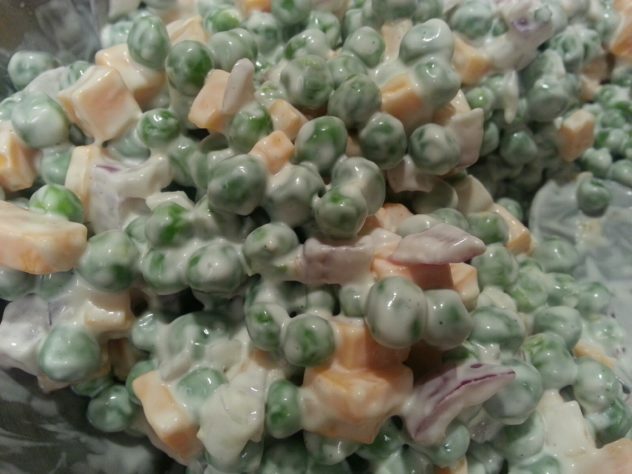 Once your peas are thawed and the onion and cheese chopped, it’s a simple matter of adding dressing to the salad and tossing together until it’s well coated with the dressing. I love this pea salad, and so do several of my friends. It’s also delicious when served as a side dish for a summer barbecue. Give our recipe for Pea Salad a try and let us know what you think by leaving a comment below. Pea salad is a simple and delicious alternative to your usual macaroni or potato salads. It's also a good way to get your kids to eat their vegetables. Cook's Notes: If you really don't want to use frozen peas, you can substitute three 14 - 15 ounce cans of peas, drained, in place of the frozen peas. Just be aware that the peas will be easier to disfigure during the mixing/tossing process. If you don't like sharp cheddar cheese, you can use medium, or mild, instead. The total cost of this recipe is $3.99 or about $0.50 per serving. 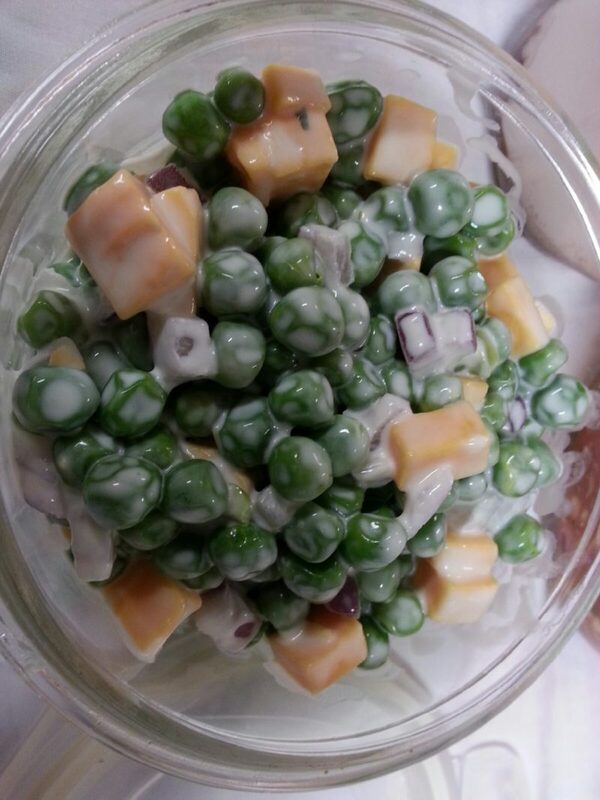 Defrost peas overnight in the refrigerator and drain them well. 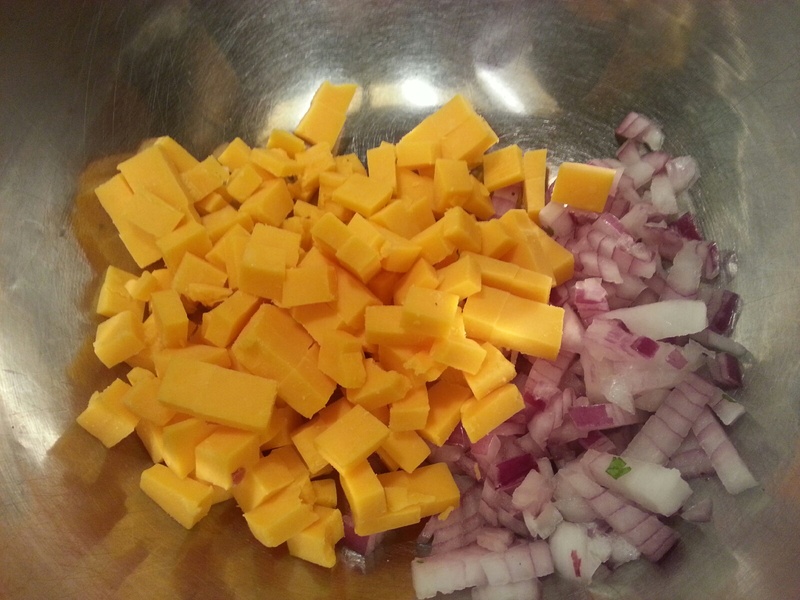 Put chopped onion, and cheese cubes into a 2 - 3 quart bowl. Add peas to bowl with peas and onion. Mix together the mayonnaise, sour cream, and sugar in a small bowl. Spoon the mayonnaise mixture into the bowl with the remaining ingredients taking care to scrape all of the dressing out of the smaller mixing bowl. Toss and gently stir the ingredients together until everything is coated with the mayonnaise mixture. Nutrition information is for 1/8th of the recipe, approximately 3/4 cup of the salad, prepared according to the recipe above.